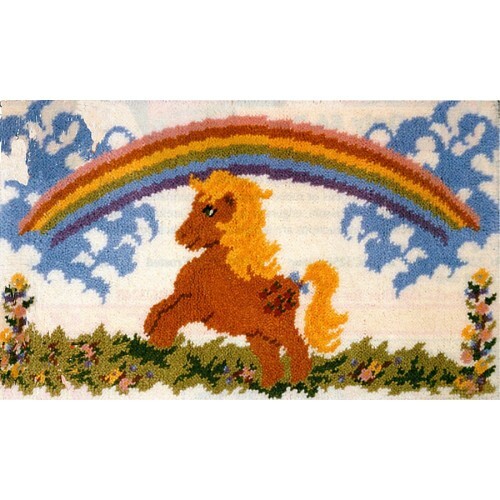 My Little Pony latch hook rug kit with hand stencilled canvas in Romney rug wool. Size 68cm x 114cm (27in x 45in). Kit includes canvas, cut packs of Romney pure wool, latch hook tool, binding kit, needles and instructions.